Super Mario Odyssey won 3 awards at the Game Critics Awards: Best of E3 2017. What categories did Super Mario Odyssey win in? The Game Critics Awards 2017 has recently announced their winners for E3 2017. The said awards event happens after every E3 video game conference since 1998. These winners are voted by 38 media outlets around the world. 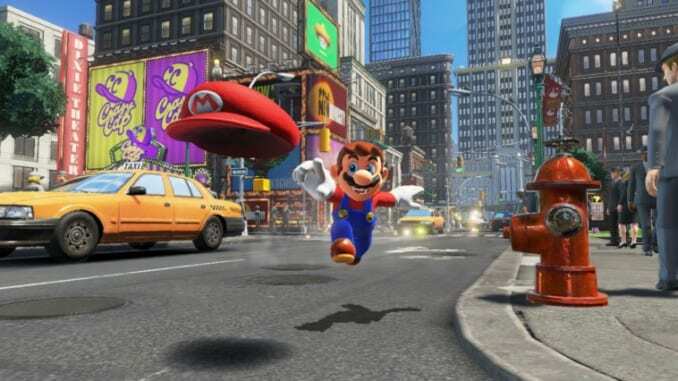 While there is a variety of winner at the event, Super Mario Odyssey is the game that one the most awards this year. Super Mario Odyssey surprisingly won 3 awards at the event. This is the first time that a Nintendo Switch-exclusive game won for the said awards event (alongside Mario + Rabbids Kingdom Battle). Winning the Best Console Game this year, Super Mario Odyssey proved that console exclusive serves as the pinnacle of gaming for each console in today generation. With many games releasing for multiple platforms, Nintendo stays true to their roots by making their game exclusive to their systems. This exclusivity is part of why their games’ quality is outstanding. Developing a game for multiple consoles is a hectic task to do for developers and publishers. Last year’s winner, The Legend of Zelda: Breath of the Wild, a game that came out for the Nintendo Switch and Wii U, further cemented Nintendo current legacy as one of the best video game developers in the world. Super Mario Odyssey also wins Best Action/Adventure Game at the Game Critics Awards. This award is fitting due to multiple media outlets saying that it has solid gameplay. In a recent analysis done by Digital Foundry, they reported that the game runs at a solid 60fps even while in Portable Mode. Nintendo is the master of platformers, so it comes to no surprise that Super Mario Odyssey’s gameplay is superb. The game also wins the Best of Show award, the most prestigious at the Game Critics Awards. They won the award due to multiple gimmicks that Nintendo has set up for the game during E3 2017. Not only are the gimmicks effective, but the whole atmosphere of the booth really hyped up Super Mario Odyssey.